To Democrats: Have you considered poaching the Republicans? In 2006, the Alabama Crimson Tide football team finished the season with a 6-7 record. “Unacceptable!” was the collective roar of Alabama’s fans, alumni and boosters. Alabama athletic director Mal Moore knew the football program needed an instant fix. There is no patience in Alabama for long-term plans. Win now, win tomorrow, win forever. So what does the New York Yankees of college football do when it has lost its pigskin mojo? What do they do when its arch rival, Louisiana State (LSU), has beaten the Crimson Tide six out of the last seven years (2000- 2006) and won two national championships against Alabama’s zero? You don’t change your offensive philosophy. You don’t switch from a 3-4 to 4-3 defensive scheme. You do the obvious. You poach your rival, LSU, and hire their head coach, Nick Saban*. And the result has been Alabama winning four out of the last eight national championships. Creating a preeminent college football program is much harder than creating a nationally-dominate political party. The Alabama football team has to beat 13 to 14 football rivals every year to win a championship. The Democrats just need to beat one other team. Across the thousands of elected positions in this country, just beat one party more than half of the time and you are back in the governing business. How bad has it been for the Democrats in the last eight years and how tough will it be for them to reverse their minority status? In terms of the percentage of national and state-level elective offices held, the Democrats haven’t been this bad off since the late 1920s. If you want to read the gory details about the Democrats’ decline, go here and here. So, Democrats, how do you regain dominance? There is the long path: re-brand, change communication strategies, improve candidate recruiting efforts, redistribute campaign donations more strategically between national, state, and local candidates, etc. etc. Yeah, you could do that. And there’s a good chance it won’t work. Or, you could just hire the Republicans’ brain trust to run your campaigns. And you don’t need to hire all of them, just the head coach: Kellyanne Conway. True, she has a good White House job and wouldn’t change parties anyway. We are still too close to this past election to fully appreciate what Conway did. She engineered the electoral strategy (“The Core Four” and “Breaking Down the Blue Wall”) that resulted in the biggest political upset in political history….make that HUMAN history. You can give Steve Bannon, or Trump himself, some credit for this upset win, but they didn’t develop and implement Trump’s travel schedule and media buys. Kellyanne oversaw those data-driven tasks, and did so in such a viciously efficient manner that the campaign defeated an opponent that outspent them 2 to 1 (Clinton’s $1.2 billion to Trump’s $620 million). If not for some Russian hacking, FBI Director James Comey and a few ‘fake news’ stories, Clinton would have bought the presidency. That our highest office could be bought is far more serious to the integrity of our democracy than anything the Russians could ever dream up. To explain Clinton’s popular vote advantage, look at how she outspent Trump, particularly in the non-swing states. It was raw hubris that led Clinton’s campaign to outspend Trump’s campaign in national TV ad buys in the last weeks of the campaign. National TV buys when you needed to defend your Rust Belt states? Clinton’s staff was deploying resources to secure an electoral landslide when they should have been addressing their precarious situation in middle America. Conway’s data team knew the status on the ground; Clinton’s didn’t, or worse, ignored the empirical evidence. I would have attacked Robby Mook and John Podesta in a Stalinesque drunken rage on election night if they had bungled my campaign they way they did Clinton’s. In political history, nothing approaches what Conway did for Donald Trump, a presidential candidate that lacked not just the qualities normally associated with U.S. presidents, but was a guy that gave us a mephitic brew of sexual assault fantasies, cultural insensitivities and a clinical exhibition of narcissistic personality disorder symptoms. Add in some reckless syntactic ambiguity and you have a candidate that should have lost by 10 points in any other presidential election year. A reference to military history is required to find an upset that comes close. When the under-equipped British navy defeated the “invincible” Spanish Armada of 129 ships in 1588, it changed the course of European history. And even that win for Queen Elizabeth I’s naval forces wouldn’t have occurred had the weather not handicapped 60 or more ships in the Spanish Armada. There was a lot of luck involved in stopping the Spanish from converting the British to Catholicism. What Conway did for Trump wasn’t luck. Of course, it will take more than one person to re-design the Democratic Party and turn it into a viable, governing party again. But Conway would be a good start. There are no stars in the Democratic brain trust right now. Robby Mook, Joel Benenson, Amanda Renteria, Huma Abedin, and Jennifer Palmieri will collectively go down in history as the political equivalent of the White Star Line’s Captain Smith. The Democrats could grow and nurture a new set of political operatives — but that takes time and doesn’t guarantee success. Why not just take a short-cut and hire the nation’s best political operative? That’s what Alabama did and they are on the cusp of winning their fifth national championship under Coach Saban. Coach Conway, don’t get too settled into your new job. Soon, you may get a call and an offer you can’t refuse. Ruhle: Let’s just come right out with it. Did Russia interfere with the (American) election? Pozner: It’s difficult to give you a ‘yes’ or ‘no’ answer. I can only give you what I think. I think probably they would have liked to have interfered with the election, but I don’t think Russia has the where with all — the instruments — to impact say 160 million American voters. Pozner started his journalism career in Russia when Nikita Khrushchev was still in power and has navigated some of the most treacherous journalistic waters in history from the period of U.S.-Soviet detente, through the break-up of the Soviet Union, and finally to the rise of Putin. Pozner is a survivor. He doesn’t make career-ending mistakes. Which is why I found his interview with Ruhle interesting, particularly towards the end of her interview with Pozner. Ruhle: Do you feel comfortable criticizing Putin from your position as a Russian journalist? Pozner: I’m sorry Stephanie. I did not hear your last question. With all this traffic noise I could not hear it. Ruhle: I’m sorry. I will ask you again. Do you feel comfortable criticizing Putin from your position as a Russian journalist? Pozner: I can’t hear your question. I’m sorry. Ruhle: I am sorry. I’ll just say goodbye then and thank you for joining me this morning. Pozner: Goodbye and thank you for having me on. He knew it was one of those moments when there are no right answers. Play dumb. Play deaf. Whatever it takes. Do what you have to survive to the next interview, the next day, the next TV show. And that’s what Pozner did with Ruhle that morning — and that’s the part of the interview MSNBC trimmed off for their archives! Pozner has been doing this for 50 years. He’s a survivor. And at this point he’s also an artist and his deflection of Ruhle’s question was nothing short of a small TV interview masterpiece. Браво Бис! WHERE IS CNN’s “INSIDE THE BUNKER” STORY ABOUT ELECTION NIGHT WITH THE CLINTON CAMPAIGN? Attacking the prevalence of “fake news” is at epidemic levels right now. Of course, those of us who still have our copies of Weekly World News’ June 1993 edition detailing Hillary’s adoption of an alien baby know that fake news isn’t all that new, only the number of media channels and speed of its distribution is new. So, when stories began to emerge about Hillary Clinton’s alleged meltdown/rampage/alcohol-fueled tempest on election night, most sourced to tabloid writer Ed Klein, I ignored them. But I assumed a real news organization would at some point — soon after election night — reveal the true story of that night. A sincere curiosity, bordering a bit on voyeurism, powers my desire to know what it must have been like in the Clinton camp on that night. I’m not the only one wanting to know and this curiosity extends far beyond just my conservative friends’ sometimes cruel appetite for anti-Hillary stories. This was the biggest upset in modern American electoral history. That is not hyperbole. So, why wouldn’t serious people want to know how a candidate handles such a disappointing defeat? Its history. I love reading about history. You can’t be a golf fan and not know about Greg Norman’s legendary collapse at the Masters in 1996. He blew a six-shot lead by the 11th hole in the final found and by the end of the day he had five bogeys and two double-bogeys to finish his day at 78 and five strokes behind Nick Faldo. But what makes that collapse even more poignant to golf fans is that it happened to one of golf’s great gentleman. He was a class act. And we know that in large part to how he handled himself with the press the day of his 1996 Masters epic defeat. To a professional golfer, losing the Masters the way Norman did does compare to a politician losing the presidency the way Clinton did. So, when Norman walked out of the locker room to meet the press after suffering what some where calling the biggest collapse in golf history, how he handled himself was a big part of the story. And how Norman handled the press that evening in Augusta, Georgia has become part of his legend — in the good sense of the word. Norman smiled a lot that night. And took defeat the way you would want yourself or your children or your favorite athlete to handle defeat. To this day, when athletes suffer disappointing defeats, their willingness to confront their loss in public is often measured against Norman’s standard. So, we need to know what happened in the Peninsula Hotel in midtown Manhattan on election night, not because of tasteless prying, but because history can’t be written without knowing how one of its most tragic heros handled herself on that fateful night. So, where is the ‘Clinton bunker’ election night story? CNN is alleged (by Klein) to have had a reporter in the suite with Clinton and her closest advisers. It impossible to think the Clinton campaign, in anticipation of their historic victory, hadn’t arranged for journalists to personally witness her triumph. The campaign most certainly did. Its time to tell the story of that night. Until the true story is told, fake news will continue to fill that void and, in time, if the real news doesn’t intervene, the fake news will be all we remember. It will be the story of record. And from what I’ve gleaned through my brief contacts with the fake news, right now, it paints Hillary Clinton in the worst possible light on election night. By not appearing that evening at the Javits Center, Clinton all but ensured she would not gain the same level of respect Norman would gain from his defeat. But most of us recognize politicians as imperfect humans and can forgive Clinton for not going on the stage that night. However, eventually, we all deserve the story, particularly the millions of people that voted for Clinton and want to know they can be proud of their presidential candidate, in victory and defeat. “Never before has a diplomatic novice been placed in this sensitive post, where a single wrong word or move could pour fuel on fires already burning in the region,” wrote Ben-Ami in a Washington Post editorial opposing the nomination of David Friedman, a New York bankruptcy lawyer, as the U.S. Ambassador to Israel by President-elect Donald Trump. Friedman’s response to Ben-Ami and his other Jewish-American critics has been harsh, to say the least. He’s even included a particularly ugly and noxious slur that relates Ben-Ami and J Street supporters to “Jews who turned in their fellow Jews in the Nazi death camps.” I don’t know Mr. Ben-Ami but what I’ve read and heard from him — in his own words — does not strike me as deviant from the mainstream opinions within the American-Jewish community. In Pew Research’s October 2013 survey of Jewish Americans, 61 percent of Jewish Americans said they were optimistic that there is a way for Israel and an Independent Palestinian state to coexist peacefully, compared to only 50 percent of adults in the U.S. In the same survey, 44 percent of Jewish Americans said Israeli settlements in the Occupied Territories “hurt” Israel’s security, compared to only 17 percent who said the settlements helped. I am not suggesting Ben-Ami and Netanyahu are of a like mind on how to achieve a two-state solution, but at a minimum their stated goal for the Israeli-Palestinian conflict does not deviate from the UN resolutions on the “Peaceful settlement of the question of Palestine” that date back to 1974. I know little about David Friedman, except what he wrote about Ben-Ami and J Street and what I’ve heard and read about him in the media. My general rule is: Don’t make a judgement about someone through what you hear or read about them through the media. I have also learned with age that sometimes people we don’t agree with (or even like) can be that shock to your own system of beliefs that moves you into a new and more productive direction. Friedman may fill that role if he becomes the U.S. Ambassador to Israel. In a June 2016 interview on Israeli TV, Friedman said: “I think if you look at the Palestinians, they share something in common with the entire Muslim world, which is 90% or so of them are perfectly fine, good people. They’ve been hijacked by the 10% that observes radical, Islamic jihad. I think if you went to those 90% and said to them, ‘Would you rather live under an Israeli regime or under a new Palestinian state,’ I would be shocked if the majority of them wouldn’t prefer Israeli rule,” he said. Prepare to be shocked, Mr. Friedman. I don’t think 90 percent Palestinians will agree with you on that. However, more and more Israeli and Palestinian activists, sympathetic to the Palestinian cause, are also saying that the two-solution is O.B.E. (Overtaken by Events) and that the resolution to the conflict requires a new paradigm. In a recent conversation with a young Palestinian, currently studying at Iowa State University, he gave me his diagnosis on the two-state solution. “It is dead,” he said. “What replaces it? 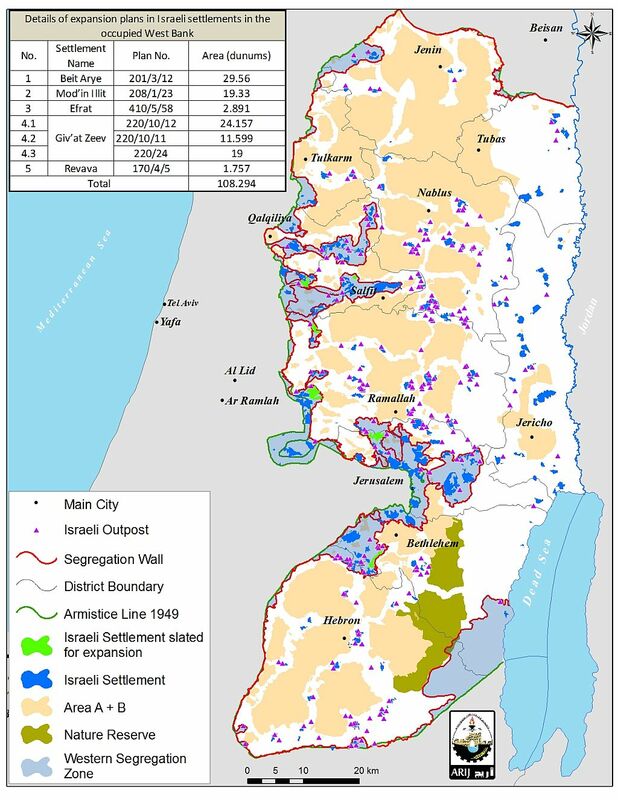 The one-state solution?” I asked. On that conclusion, Aslan, Barghouti, Erakat, Farsakh, Friedman and likely Netanyahu, too, aren’t that far apart. Obviously, the nature and future direction of this de facto one-state solution substantially separates Friedman and Netanyahu from the aforementioned academics and social activists. Nonetheless, Trump’s consciously provocative nominee for the U.S. ambassadorship may at least serve the purpose of cutting through the cynicism and unrealistic posturing that continues to dominate the mainstream rhetoric of Israeli, American and Palestinian leaders. After eight years of failed American leadership with respect to the Israeli-Palestinian conflict, it is time for change. CLINTON IS MORE POPULAR THAN TRUMP! SHE WON THE POPULAR VOTE! This decontextualized fact is used by many to discredit Trump’s electoral college victory and inspired attempts to force vote recounts in Wisconsin, Michigan and Pennsylvania, and to persuade Republican electors to become “faithless” and vote against the preference of their state’s voters. All were wastes of political energy . Unfortunately, the promulgation of the “Hillary won more votes” narrative ignores the real story of the presidential vote in 2016. More importantly, it prevents many Democrats and Never Trumpers from moving forward and rebuilding their political capital. Our analysis of the 2016 presidential vote finds that, had the Trump and Clinton campaigns been as active in the non-swing states as they were in the swing states, Trump would have squeaked out a narrow popular vote victory of 48 percent to 47 percent. No, I am not denying the raw popular vote total. The almost 3 million vote gap in Clinton’s favor is real. Fifty-years from now, when talking about the 2016 presidential election, pundits across the ideological spectrum will cite Clinton’s popular vote advantage. But while the vote difference is real, it is not as meaningful as we are told to believe it is. After hearing Conway’s statement on MSNBC, my curiosity demanded a more formal test of her assertion. In this effort, I used a simple statistical model to adjust the actual popular vote for the net campaign effects witnessed in the vote results from these swing states: Arizona, Colorado, Florida, Georgia, Iowa, Michigan, Minnesota, Missouri, New Hampshire, Nevada, North Carolina, Ohio, Pennsylvania, Virginia, and Wisconsin. My popular vote adjustment is a two-step algorithm: (1) Calculate the net campaign effect in the swing states, and (2) apply this campaign effect to the non-swing states so the adjusted national popular vote accounts for the campaign dynamics observed in the swing states. From David Wasserman’s Cook Political Report analysis, we know that Clinton won the presumptive popular vote by almost 3 million votes. However, she lost the 15 swing states by almost 1.5 million votes, even while winning the non-swing states by over 4 million votes. Diving deeper into the swing state results and the early polling, we see the effect of the Trump campaign’s tactics and strategy. Using the state-level RealClearPolitics polling averages as of October 1st, Trump probably trailed Clinton by almost 1 million votes. This means the Trump campaign generated a net turnaround of 2.2 million votes in the swing states between Oct. 1st and Nov 8th. The chart below shows the Oct 1st polling averages and final vote percentages for the swing states. In only two states (Colorado and Nevada) did Clinton see a positive campaign effect. In all other swing states, Trump improved his vote percentages relative to Clinton’s between Oct. 1st and Election Day. Forget the 80,000 vote margin in the three rust belt states (Wisconsin, Michigan, Pennsylvania) often discussed in the media. That is a meaningless post hoc analytic. The important number is the extent to which Trump campaign’s tactics (local media buys, candidate appearances, and surrogate events) changed the final outcome. That number is the “net campaign effect” as measured by the net vote change divided by the size of the vote eligible population (VEP) in the swing states. The number is 2.6 percent (in Trump’s advantage). Not a big number, but a profoundly important number. The next step requires a big assumption and asks this question: What if the candidates’ swing state campaigns were conducted in the non-swing states as well? In my popular vote adjustment, I assume that Trump would have had a similar campaign effect on the popular vote outcomes in those states. “The non-swing states are too different to make that assumption,” my wife averred, thereby dismissing out-of-hand my finding that Trump would have won the popular vote if he had competed in all 50 states. But isn’t it more ludicrous to think Clinton’s vote advantage in California (over 4 million votes at last count) wouldn’t have changed if both Clinton and Trump had campaigned in a substantive manner there? He doesn’t have to win California in a popular vote election, he simply needs to do better – and he would if the contest required him to do so. By applying the 2.6 percent campaign effect in Trump’s favor to the results in the non-swing states, I estimate Clinton would have won the non-swing state popular vote by 600,000 votes — not enough to overcome her 1.4 million vote disadvantage in the swing states. The adjusted 2016 popular vote is therefore: 64.8 million for Donald Trump to 64.0 million for Hillary Clinton. DID THE COMEY LETTER CAUSE CLINTON’S LOSS? NO, IT DIDN’T. If my analysis says anything, it says the Trump campaign was superior to Clinton’s — not a controversial finding. But if you want to know the extent the Russians or the Comey letter contributed to Trump’s advantage, I can’t help you here. My hunch is, not much. Based on my interviews with Iowa voters (not representative of all U.S. voters, to be sure), Clinton’s “deplorable” remark was memorable to voters. The “deplorable” comment was an in-your-face, playground insult that didn’t require translation by cable news pundits. The John Podesta emails, on the other hand, reinforced a “crooked Hillary” narrative that had become entrenched among swing voters long before his personal emails were released by WikiLeaks. To claim the DNC and Podesta emails or Comey’s letter caused Clinton’s demise is analytically problematic. In a regression modeling context, statisticians call it a ‘multicollinearity problem’ which can make it difficult to quantify the causal effects of discrete events in the presence of simultaneously occurring events. Yet, 538.com founder Nate Silver confidently asserts that the Comey letter was a difference maker. However, I am not as confident in that conclusion. First, the announcement of the Obamacare premium increases occurred on Oct. 24th — just four days prior to the Comey letter. At that time, 538.com’s model said Clinton had a 86.3 percent chance of victory. The day of the Comey letter’s release (Oct. 28th), her chance of victory had already fallen to 81.5 percent. A nearly 5 percent probability decline in just four days that CANNOT be attributed to the Comey letter. 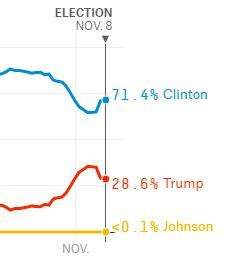 If you were to extend the trend in Clinton’s probability decline from Oct. 24th to Nov. 8th, the final Clinton probability would be 71 percent…which is where it stood on Election Day, according to 538.com (see graphic below). Yes, Clinton’s decline accelerated after the Comey letter, but it also recovered (a little) after Comey said the FBI found no new evidence to change their conclusion regarding Clinton’s emails. The end result? Clinton stood at a 71 percent probability on Nov. 8th. You don’t need to reference the Comey letter to explain the Clinton’s probability of victory on Nov. 8th. Her decline began days before the Comey letter. LIES! ALL LIES! THE ELECTORAL COLLEGE STOPPED HILLARY! If our adjusted popular vote is right, you can’t blame the electoral college on Clinton’s loss. Instead, it was the product of difficult electoral context (a slow-growth economy, Obama/Clinton fatigue, ISIS threat, etc.) and an opponent that captured the national mood far better than Clinton’s ‘career of fighting for children and women’ message. I attended rallies here in Des Moines for both Clinton and Trump. The difference in energy could not have been more dramatic. The Clinton crowd was large but lacked excitement. With the exception of actor Sean Astin (Rudy), the warm-up speakers were dull and uninspiring. By the time Hillary made it to the stage, people were slowly moving to the back of the crowd so they could get to their cars quickly once Hillary was done. it was a weird crowd dynamic. The more Hillary talked, the more the crowd dissipated. If she had talked 15 more minutes, she would have been addressing the clean-up brigade. When I emailed my popular vote analysis to a friend living in southern California, she nailed its insight immediately. She did…in California. For those of us living in swing states, a blowout never seemed possible. No, Clinton didn’t lose because of the voting process. When you the mine the deep-vein data, the story is clear. Trump out campaigned Clinton. That’s a winning formula whether you are in a popular vote election or an electoral college election. WHO SHOULD BE MORE TICKED OFF? AL GORE or HILLARY CLINTON? And, on that assertion, I agreed. If our country changed to the popular vote method (or some near variation), it would not change the election outcomes much. Except in one case. Unlike Clinton, Al Gore was truly stiffed. Al Gore won that election against George W. Bush in both the electoral college and popular vote — that is, had the true preferences of Florida voters been reflected in Florida’s popular vote. Unfortunately, for Al Gore, a bizarre “butterfly” ballot design in Palm Beach County altered the election. Gore’s victory was hijacked. And it didn’t help that the Gore campaign made a bad decision on how and where to contest the Florida vote. They should have pushed for a statewide recount. They didn’t. That’s all water under the bridge, however. EVEN IF IT DOESN’T ALTER THE RESULTS, DOESN’T THE POPULAR VOTE MAKE MORE SENSE? Calls for changing to a popular vote are understandable. In the final analysis, however, I don’t think it really matters. In fact, there may be some unintended consequences. For example, the popular vote may increase the importance of money in our presidential elections. All else equal, a popular vote election would certainly increase the need to buy TV and radio ads in the major population centers. The 2016 presidential election provides vivid evidence that an under-funded candidate can beat a well-funded candidate. Money is important in elections, of course; but so is the quality of the candidate and the election’s zeitgeist. Though Trump raised less money than Clinton ($650 million versus $1.2 Billion, respectively), he lessened that disadvantage by being a better campaigner who promoted an anti-establishment message when the national mood favored such an outsider. My analysis here makes some strong assumptions. However, I am confident – had the 2016 presidential election been a popular vote election – Donald Trump would not have lost by nearly 3 million votes. Instead, it would have been a close race…a very close race…and Donald Trump would win the popular vote by about 1 million votes. So, to all CNN and MSNBC on-air talent, enough with the “She Won the Popular Vote” preambles and epilogues. Without running the 2016 election as a popular vote contest, it is pure conjecture to say she won the popular vote. My analysis says Clinton would have lost that too. (Source: NuQum.com, December 5, 2016) “Winning campaigns is a thrilling experience, but losing campaigns crush your soul,” veteran Republican communications strategist, Michael McKinnon, recently wrote in The Daily Beast. Having worked on my brother’s unsuccessful Iowa House District 60 campaign this past election, I understand McKinnon’s lament all too well. My brother, Gary Kroeger, the Democratic candidate for the Iowa House District 60 seat that covers most of southern Waterloo and Cedar Falls, was running against Walt Rogers, a three-term Republican incumbent and an assistant leader in the Iowa House. We lost 58 percent to 42 percent. In the immediate aftermath, I needed to blame someone, besides myself. So, I went with the most available target: Hillary Clinton. I know. Too simplistic (and mostly wrong). But it felt good. However, now, a month removed from the election, the answer is more complicated and more organic than found in a single person. In my 30 years of working on political campaigns (mostly as a Virginia Republican), I have come to one inviolable conclusion: Political campaigns don’t matter as much as we think they do. At best, they nibble on the margins. External factors, such as the economy, incumbency, and the partisan composition of the electorate, explain most of the variation in outcomes. A well-run campaign using the available tools (TV, radio, direct mail, canvassing, phone banks, social media, etc.) to their maximum utility may gain a candidate three or four more percentage points. But not much more. In close races, that boost matters. In our race in District 60, it wouldn’t have mattered. Let this sink in for a moment: Not a single Democrat won this year running against an incumbent Republican for the Iowa House. Some Democratic challengers ran negative ads and some didn’t. It didn’t matter. They all lost — by 11 percentage points, on average. Based on my statistical modeling of Iowa House races, Gary actually did two percentage points better than expected given the partisan composition of District 60. In Iowa House elections from 1996 to 2014, incumbents from both parties won 93 percent of their races; Republican incumbents won 94 percent. In a Democratic year (2008, 2012) it’s hard enough for a Democratic challenger to beat an incumbent; in a Republican-dominated election, it’s nearly impossible. Yet, in at state where Barack Obama can win twice and Trump won this year, there is enough year-to-year variation in voter preferences to defeat incumbents more often. Why are incumbents so safe in the presence of this much voter elasticity? There are long answers to this question. I will give you the short answer: both political parties like it that way and built a system to make it so. They are risk averse organizations whose pain in losing their own incumbent is far greater than the joy they feel in defeating another party’s incumbent. Subsequently, state parties spend most of their money and time keeping incumbents in power. Gary’s defeat was determined before he even declared his candidacy — but there are others that must share the blame. Let’s start with the Iowa Democratic Party (IDP). It didn’t help that Gary couldn’t catch a draft from the IDP’s hand-picked candidates for the U.S. Senate and U.S. House’s 1st District. Monica Vernon, the Democrat’s U.S. House candidate, was a good campaigner running against a tough opponent, but our Democratic U.S. Senate candidate, Patty Judge, was a biblical-scale cataclysm. While acknowledging Chuck Grassley was a tough out, Judge was, as Donald Trump might say, “low energy.” And that’s being kind. She was the electoral version of the airship Hindenburg. All we missed was Simon Conway on WHO radio crying out “Oh, the humanity!” as her candidacy crashed and burned. As part of the IDP’s post-election soul-searching, it must include an examination as to why their leadership felt it necessary to put their thumb on the scales during the primary process in favor of candidates like Judge. One of her primary opponents, Rob Hogg, an Iowa Senate Democrat from Cedar Rapids, worked harder than any candidate I’ve ever seen. How did he lose to her? Seriously, an honest competition would have resulted in a different outcome. 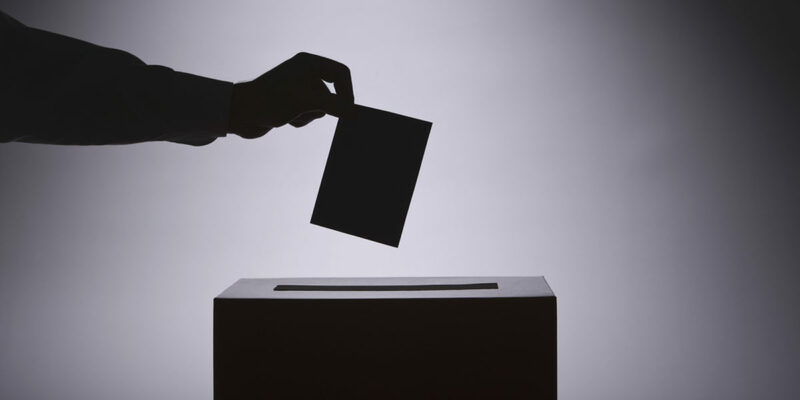 Genuine competition at the primary level makes for better general election candidates. The IDP needs to internalize that message. After the Democrat’s caucus debacle in February, the Des Moines Register editorialized that “something smells in the (Iowa) Democratic Party.” The IDP convened a commission to make recommendations for changing the caucus process within the Democratic Party. However, I have seen nothing from that commission or the IDP that addresses the problems I saw caucus-night in Des Moines’ Precinct 59. It was an organizational mess posing as grassroots democracy. Had it not been for Iowa’s gracious Attorney General Tom Miller taking charge of our caucus as it spun out of control, we’d still be counting heads in Central High School’s auditorium. Yet, my ultimate frustration is not with the IDP but at the presidential level. And you can’t talk about Democratic Party politics at the presidential level without talking about the Clintons – both of them. It was Bill Clinton that began gutting the Democratic Party in 1992. Today’s pundits point to how the number of congressional and state-level Democrats declined under President Obama. Under his leadership, the Democrats transitioned from the party that dominated local, state and congressional politics to the regional out-of-power party that it is today. The fundraising machine he built to facilitate his election and re-election also saw the Democrats lose both U.S. congressional chambers in 1994. The congressional Republicans, led by Newt Gingrich, proved the perfect foil for President Clinton, whose major legislative accomplishments occurred after the 1994 Republican takeover of Congress. The Democrats wouldn’t see a meaningful majority in either chamber until 2007. When Politico reported in May that the Hillary Victory Fund, a joint fundraising committee ostensibly organized to distribute funds to the state parties, was alleged to be a money diversion scheme to avoid restrictions on how much money the Democratic National Committee could pass to the Clinton campaign, we found it all too familiar. It was the Clinton way. It’s how they do business. 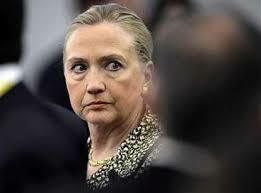 The result of that Clinton cleverness? The Democrats nominated a candidate who, in her vainglorious greed, ensured that money that would have helped the state parties ended up in her coffers. This Clintonian strategy of putting too heavy an emphasis on the presidential campaign helped the Republicans keep control of the U.S. House, U.S. Senate, governorships, and state legislatures. Oh! And they also won the presidency. 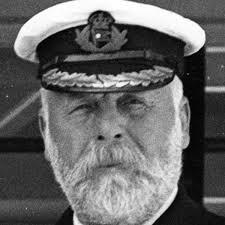 With the HMS Titanic at the top of the Democratic ticket, Trump and the Republicans were the HMS Carpathia tactically positioned to capture those working-class Democrats that jumped right before the Clinton campaign’s stern disappeared beneath the water. The Kroeger for Iowa House campaign witnessed this in real-time on the election’s front lines: District 60 – a district Barack Obama won in 2008 and 2012. We conducted two telephone opinion polls: one in late-September and one in late-October. In those polls we saw locally what echoed the Trump phenomenon nationally: A sizable number of Democrats abandoned their party in the last days of the campaign. We did not see it coming. Some Democrats, such as Iowa Senator Jeff Danielson, knew how to step outside the IDP playbook and run an independent-minded campaign that protected his support base when the Trump tsunami hit. So, in late September after our first poll, the Kroeger campaign was feeling good. We estimated Trump and Clinton were basically tied. In the same poll, we estimated Gary was slightly ahead Walt, and was getting support from 75 percent of Democrats, half of independents, and 12 percent of Republicans. We were on target to hold our Democratic base at around 90 percent support, win a majority of independents (the largest party bloc in District 60), and hopefully grab over 10 percent of Republicans. That would be a winning outcome for us. We felt confident as we launched our first TV ad and a direct mail piece targeting independents. By late-October, something changed. It was as if we woke up one morning and found ourselves in Idaho, not Iowa. Our final survey showed Trump with an 8-point lead over Clinton, mostly from an increase of 11 percentage points in support among Democrats in District 60. He saw little change in support from independents and Republicans. In Gary’s case, the change was more dramatic and devastating. His support from Democrats fell 30 percentage points to 45 percent and what was once a close race now had Walt ahead by 20 points (60% to 40%). What happened? We were losing Democrats in District 60’s working-class neighborhoods. The weekend before Election Day, having mined the October survey data, I canvassed Democratic households in Precincts 1 and 4 in Waterloo’s 1st Ward, an area south of University Avenue and west of Ansborough Avenue. These are working-class Democrats in precincts that voted for Obama over Romney by a wide margin in 2012 (58 percent to 40 percent). “She’s corrupt,” she shot back. End of conversation. There is no script that can respond to that sentiment. The decision was hard-coded. Yet, don’t assume the drivers in Trump support were easy to summarize in those working-class Democratic households. Other doors revealed different reasons for supporting Trump: Immigration, jobs, terrorism. Each door had its own its own rationale, though inevitably, the conversation would lead back to Clinton’s trustworthiness. “Hillary will win, so I’m voting for Trump in protest,” he said. If that sentiment was common among voters, it suggests it would have been better for Clinton if the polls favored Trump in the final days. The impending reality of a Trump presidency might have driven more than a few Trump voters back into Clinton’s camp. The rule-of-thumb in the campaign management handbook is that a candidate’s perceived ‘inevitability’ is a good thing as it creates a bandwagon effect. However, based on this last election, I would modify that maxim this way: When most voters perceive the ‘inevitable’ candidate to be untrustworthy and dishonest, the bandwagon effect no longer works in that candidate’s favor. The opposite tendency among political pundits is to make simple things seem complicated. They often emphasize campaign tactics which tend to lead to more explanatory factors than are necessary to understand the outcome. I love when campaign consultants talk about ‘micro-targeting’ or ‘data mining.’ I know from experience these are false gods. Yes, polling and marketing are critical to a successful campaign, but if Donald Trump has taught us anything, it is that ‘winging it’ works too. He is authentic in that he thinks the way voters think. That’s not a bad thing, if your goal is to win elections. The morning after Election Day I made a list of the Kroeger for Iowa House’s tactical mistakes: We didn’t attack Walt’s voting record enough; we didn’t match Walt’s door-knocking prowess; we couldn’t match Walt’s late media ad buy – much of it funded by his party – that was eight times larger than ours; we didn’t answer his ads attacking Gary for his qualified support of Obamacare; and, finally, Walt’s campaign never gave us a genuine opening for attack. When incumbents do lose, it is often due to major gaffes and scandals. Walt was too disciplined for that. Yet, beyond those factors, something more important worked in Walt’s favor. He ran an issue-based campaign. The nastiness that did occur was tame by modern standards. And while I may disagree with many of Walt’s policy positions, I respect the power of the “Smaller, Smarter” slogan that drove his candidacy. If we still believe public opinion polling (and I do), most voters across this nation support this message. In broad principle, at least. More importantly, the national Republicans have reinforced this message for over 40 years now and it has driven them to the dominance we see today at all levels of government. McKinnon calls it a campaign’s narrative architecture. “Voters are attracted to candidates who lay out a storyline,” writes McKinnon. “Losing campaigns communicate unconnected streams of information, ideas, (and) speeches. That last line pretty much sums up our campaign’s communications. I failed my brother on that score. In contrast, Walt has carried the “Smaller, Smarter” water bucket since he was first elected in 2010 and it underscores his campaign’s communications. Walt’s campaign told a story: (The threat) Iowa’s government is too big, too wasteful, and too intrusive. (The victims) All Iowans, but particularly the working class, suffer the most from the government’s wasteful spending and regulatory over-reach which inhibits economic growth. (The villain) There is no problem Democrats won’t try to solve using your money and increasing their control over your life. (The solution) Reduce the size of government, lower taxes, and increase the efficiency and accountability of existing government programs. (The hero) Elect Republicans, like Walt Rogers, and they will make government smaller while solving Iowa’s problems. The cynic in me knows the Iowa Republicans will over-reach and all those noble ideas will become public policy disasters such as the one on the horizon with privatized Medicaid. But will the Iowa Democrats be there to take advantage of that oncoming train wreck? Leader Mike Gronstal (D – Council Bluffs), a seemingly permanent fixture in the Iowa legislature since 1985. Gronstal lost to Dawson by 8 percentage points. Incumbents can lose. No, I won’t accept that the District 60 race was some vain quest. Instead, as the passions of the campaign subside, I blame myself for not knowing how to build the right narrative for Gary in this election. We failed to follow McKinnon’s campaign model. We didn’t tell a coherent story and Walt did. And, of course, I also blame Hillary.